View More In Tool Organizers. 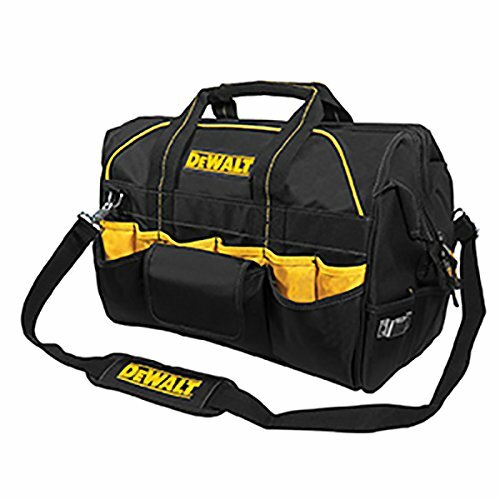 The DEWALT 40 pocket, 18 inch pro contractor's closed top tool bag has plenty of pockets to organize with. The tool bag is durable, with base pad feet to help reduce wear and abrasion. The bag also has a stay open top for easy access to tools and parts.